Are you post-High School and looking for a place to connect with other individuals your age in a spiritual setting? Then come and check out Elevate on Sunday nights! 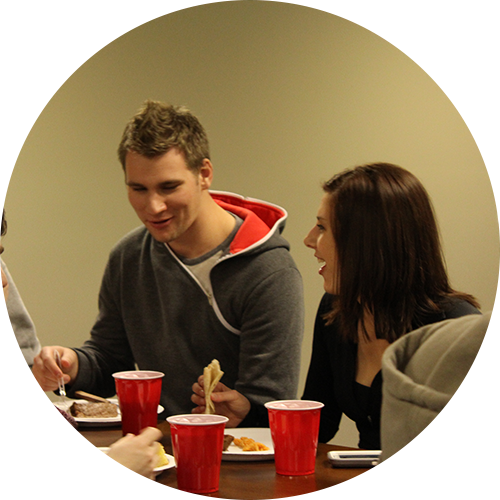 Elevate is a spiritual community specifically designed for college students and young adults. Every week, we have full meal (donations are welcome), time to converse with your peers, an activity and a discussion on a topic directly related to things you’re dealing with. Elevate meets on Sunday nights from 7:00 to 9:00 in the End Zone, directly behind the Gym. If you have any questions, feel free to contact Matt at matt@rushcreekbc.org.